His eye is on the Sparrow. 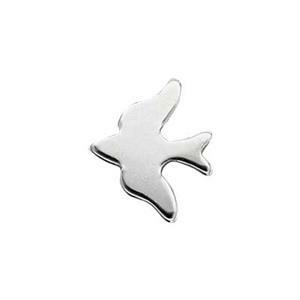 Our SL124 – Bright Sterling Silver 23 Gauge Sparrow Bird Flat Solder Ornament. Solder, Rivet or Glue in Place. See our complete line of Soldering Supplies.